SD Hero Soukessen: Taose! 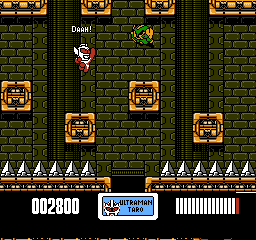 Aku no Gundan is an action platformer game for the Nintendo Entertainment System. 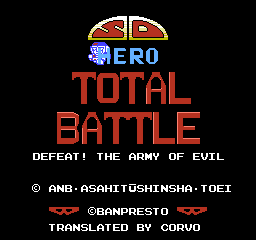 This is a complete English translation for SD Hero Soukessen. 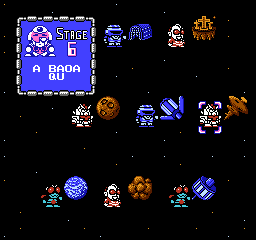 It’s the second game of the Compati Hero series, and was developed by Banpresto in 1990. 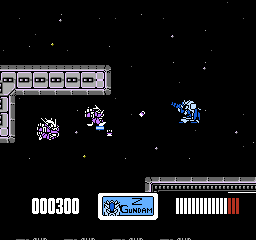 The game is a platformer where you play as heroes of various franchises: Ultraman, Metal Heroes, Gundam and Kamen Rider.